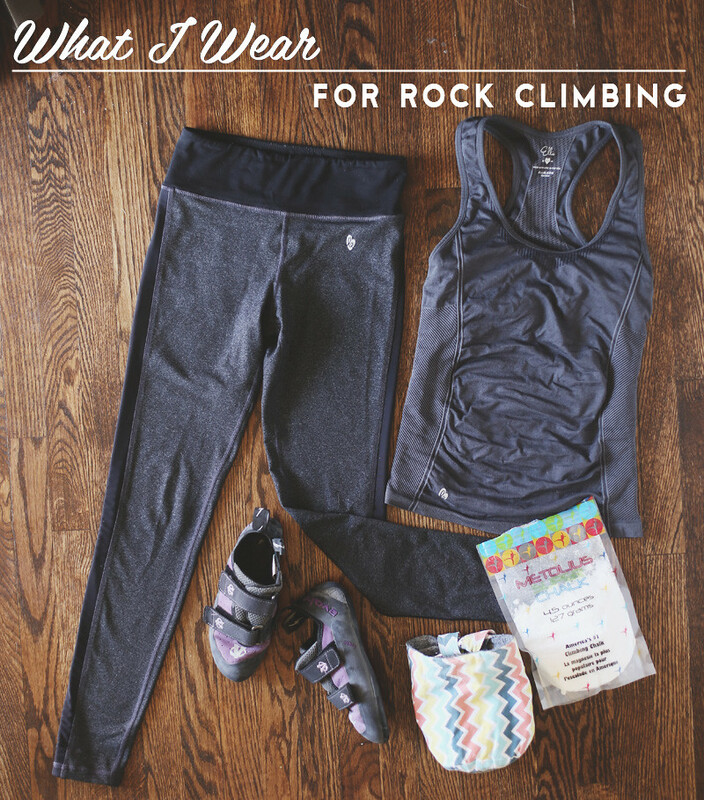 A few people have been asking what I wear when I work out/ rock climb, so I thought I'd share that with you guys! I mostly try to find work out gear at thrift stores because you can sometimes find some gems in there hidden among other, less desirable items. I found the Patagonia sports bra in the first photo, and the Lululemon leggings in the bottom photo at thrift stores! Pretty much every time I thrift I like to flip through the activewear section, just to see if there's anything good. Most of the time there's nothing, but every once in a while I score! For rock climbing I'll always wear leggings, as they give me the best range of motion. These leggings from Ellie are my new favorite pair, on par with my Lululemon pair (below). Good stretch, nice support, and they're not see through at all. 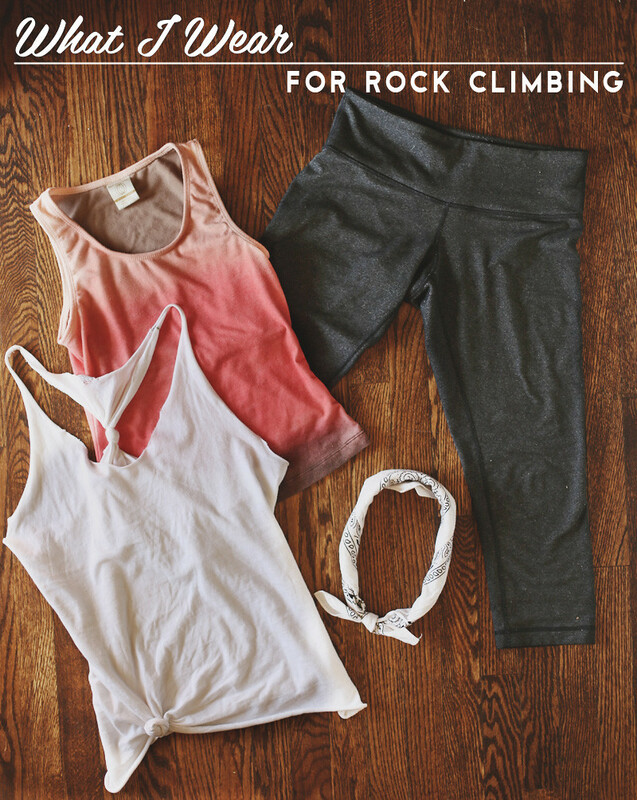 I usually wear a sports bra when I climb, though it's not necessary, and then layer a cute top like this, this, or this over it. I don't really need a sports bra for support, but it is nice to not get a regular bra all sweaty and gross. I wear Evolv's Elektra VTR Women's rock climbing shoes. I like them a lot. I have another pair of Mad Rock shoes that never get worn because I just prefer these Evolvs so much more. They're pretty entry-level as far as shoes go. They don't have a very agressive arch or anything, but the rubber is super sticky, which I love. I made my own chalk bag because I figured it looked pretty easy and I couldn't find a cute one that I liked. Plus: cheaper. I had some leftover fabric from making this dress, so I threw it together in an evening. So far it's held up really well! I made it over a year ago and use it all the time! This is another pretty standard rock climbing outfit, and I plan on this being one of my running outfits, once I start running. I'm doing the Warrior Dash in July, so I want to at least train a little bit for that. It's only a 5K so I'm not super worried. I know I'll be able to finish it even if I didn't train, but I would like to start running. I'm already pretty heavy into cardio training from doing Insanity, so a couch to 5k program seems like it wouldn't be rigorous enough from where I'm starting. Does anyone know of any good 5k training programs for someone who is already relatively fit? I also really like wearing the above outfit for yoga and pilates classes. I like to have a tight fitting shirt on so I don't flash everyone when we do downward dog, but I do like a loser fitting top over it. The white tank top is just a DIY I did by altering a plain white tee. Just cut off the arms, the bottom hem, and the collar, and then tie some of the excess that you cut off to make a knot on the back. 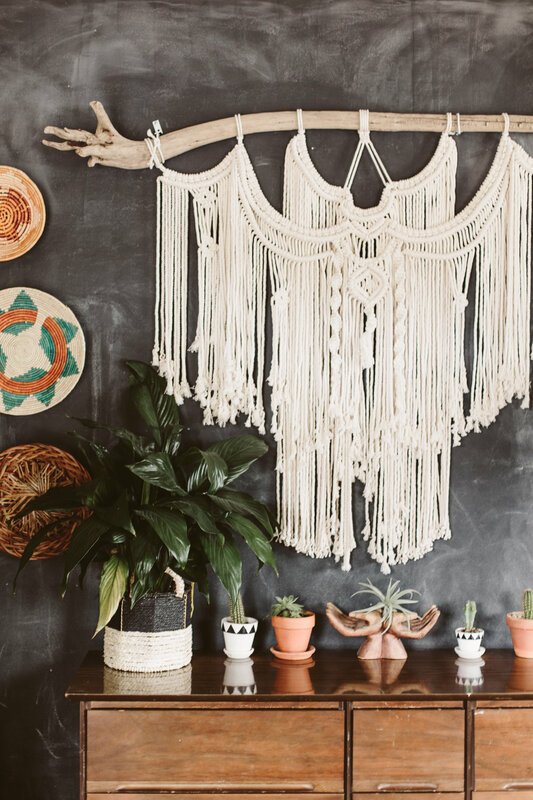 If you don't feel like DIYing it, though, Ellie makes a great top that's pretty similar! I've been enjoying my Ellie pieces. 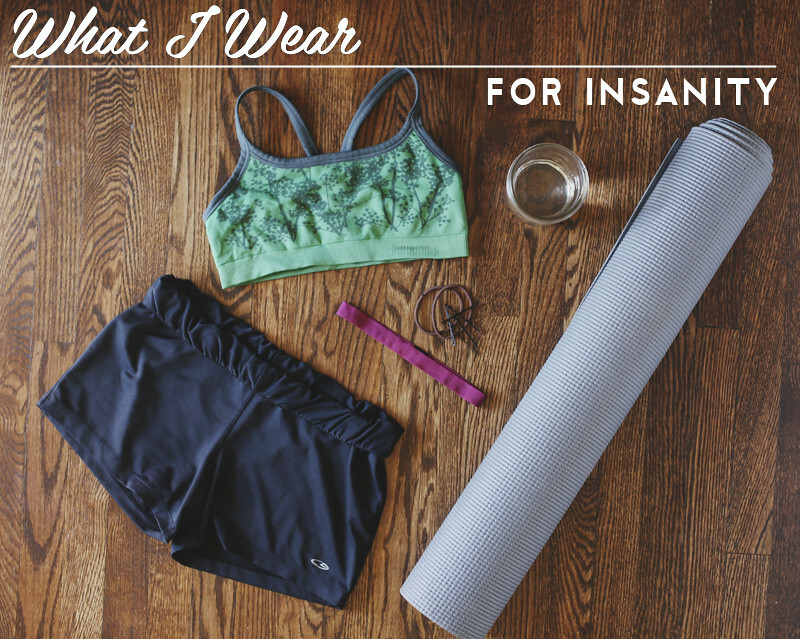 They are very high quality, and feel similar to my Lululemon pieces, but are more affordable. Plus, they tend to have more stylish workout clothes than just your standard leggings and sportsbra tank, like this super cute top.